Previous fire accidents have shown that fires in underground transportation systems, e.g., tunnels and underground stations, can cause many fatalities. It is therefore important in fire safety design to give adequate consideration to all aspects related to evacuation. The main purpose of this paper is to provide guidance to engineers involved in the design of underground transportation systems, and to create a basis for future research in the area. A review of previously reported fire accidents and of empirical research is performed. 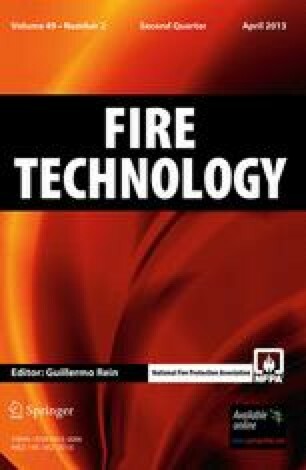 The review of accidents is based on a theoretical framework, namely four accepted human behaviour theories, which can be used in the fire safety design of underground transportation systems. Factors important for fire evacuation in these types of facilities are also presented, and data related to these factors are summarised. The review reveals many potential solutions to commonly observed evacuation problems, but it also shows that there is room for further future research in the area. The authors wish to acknowledge the funding from the METRO project. METRO is a multidisciplinary project where researchers from different disciplines cooperate with practitioners with the common goal to make underground rail mass transport systems safer in the future. The following nine partners participate in METRO: Mälardalen University, SP Technical Research Institute of Sweden, Lund University, Swedish Defence Research Agency (FOI), Gävle University, Swedish National Defence College, Swedish Fortifications Agency, Greater Stockholm Fire Brigade and Stockholm Public Transport (SL). METRO is funded by five organizations, namely Stockholm Public Transport (SL), Swedish Civil Contingencies Agency (MSB), the Swedish Transport Administration (Transportverket), the Swedish Fortifications Agency (Fortifikationsverket), and the Swedish Fire Research Board (Brandforsk). More information about METRO can be found at the following web page: http://www.metroproject.se/. The authors also wish to thank Mr. Sam Grindrod for assisting in the writing of the paper.